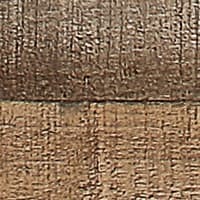 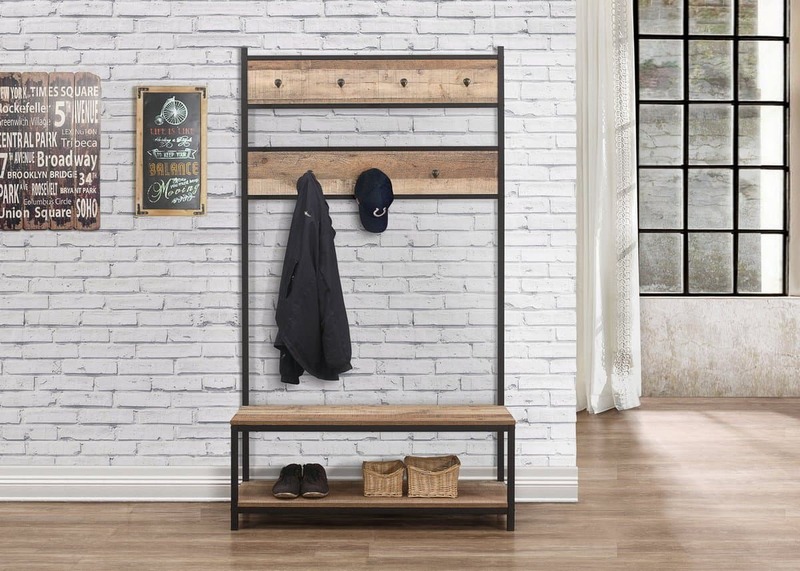 Our Urban occasional range radiates industrial chic. 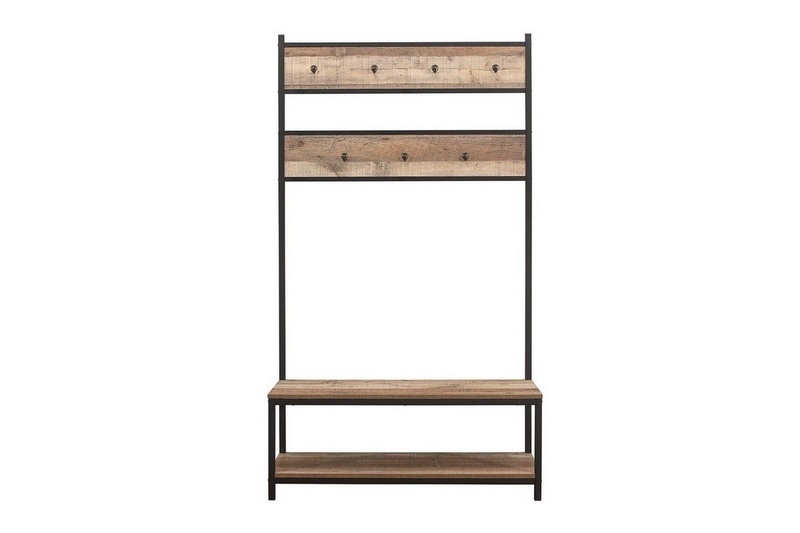 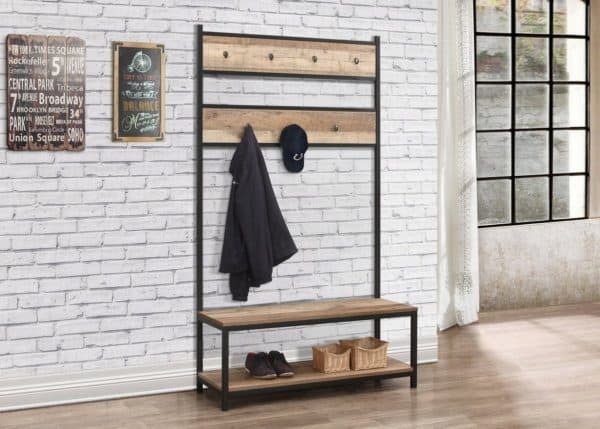 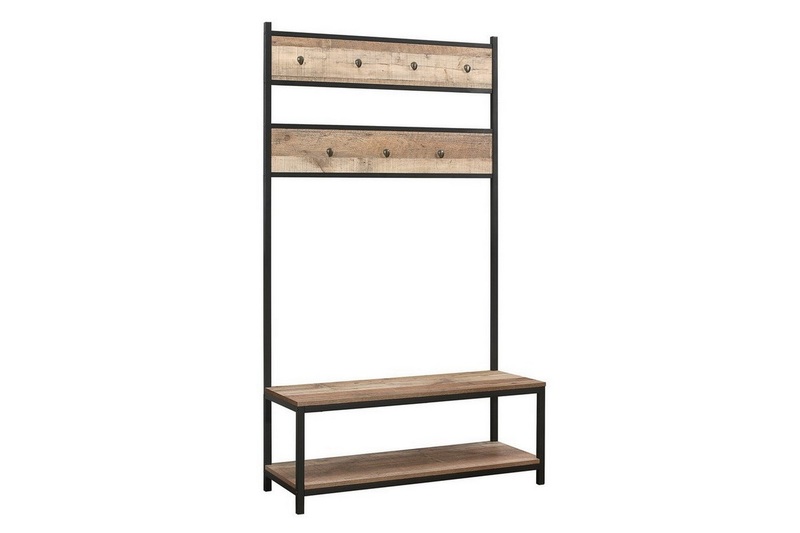 With plenty of storage for coats, hats and footwear, the Urban coat rack & bench features 7 hooks at two heights, a useful bench and a shoe shelf beneath. Ideally located in a hallway or porch, everything will be kept neatly close at hand for those mornings when you’re rushing out the door.